and isn't every 9 year old boy thrilled to get stationery to match his party theme? 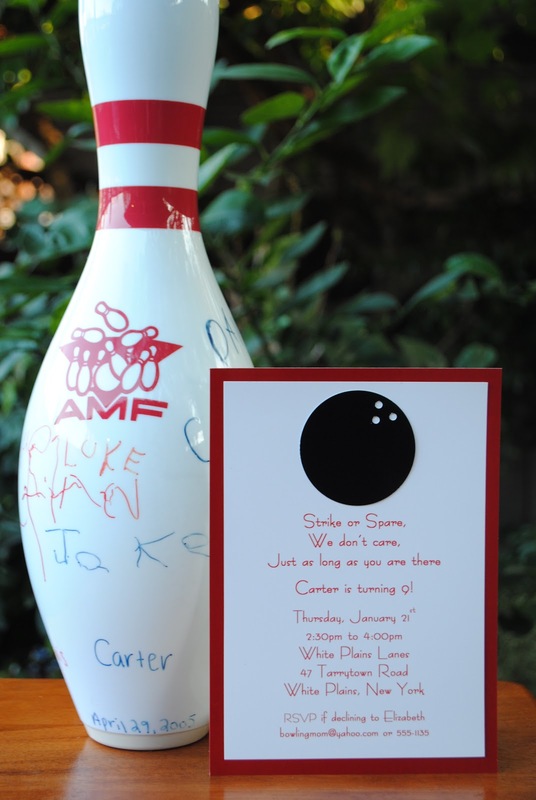 ps: How amazing Jack has a friend named Carter, who signed his pin!!! 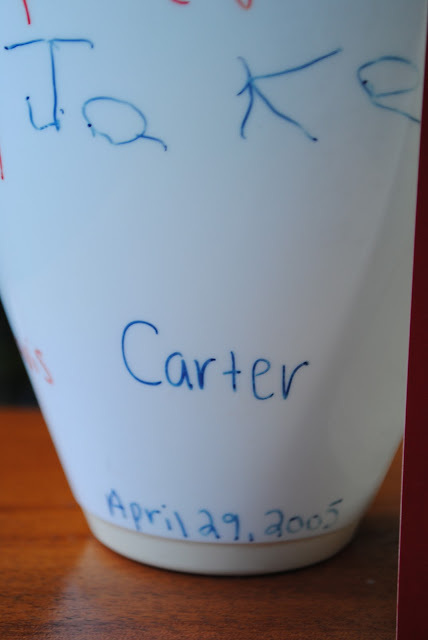 My son is Carter too! At 17 past the kids bowling parties--but I remember how fun they are! My 7 year old Camille was born on Valentines day--I love your yarn card! 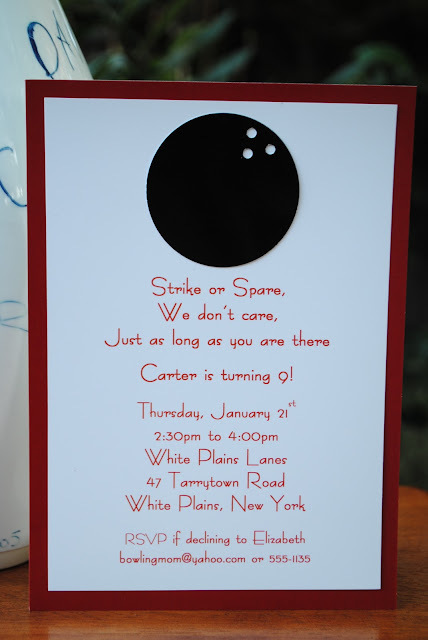 What a fabulous job you did for Carter's party - with such fun and thoughtful details! How did you make the bowling ball for the invites?